On this day in 1961, SNCC workers Charles Sherrod and Cordell Reagon, along with nine members of the NAACP Youth Council—funded by local business man Tom Chatmon—test new Interstate Commerce Commission (ICC) rules at Trailways bus station in Albany, Georgia. Meeting Rev. Charles Sherrod at the 50th Anniversary of the Albany Movement back in June 2011 was a momentous occasion for me. He was one of the Student Non-Violent Coordinating Committee (SNCC)) field secretaries who came to Albany half a century ago to work on voter registration; ended up carving a Movement and never left. 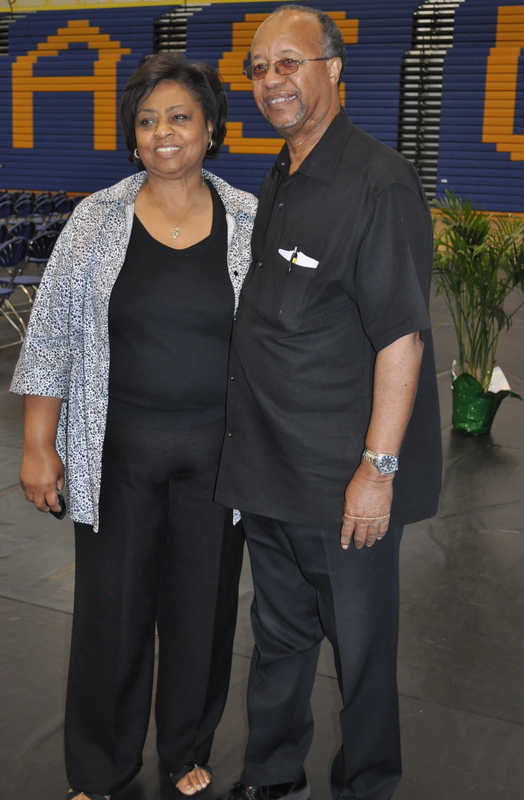 He and his wife, Shirley Sherrod, still live in southwest Georgia, and still champion the empowerment of black families with The Southwest Georgia Project. I had tried in vain to connect with Charles by email, and had seen him at a distance at the opening session of the Anniversary in the Hyper Gym. I was even introduced to him, but the timing wasn’t right, we were taking our seats to hear the keynote delivered by Dr. William Anderson, the first president of the Albany Movement. Generally speaking, I’m a person who “meets no strangers”—as we say in SOWEGA (southwest Georgia)—but for some reason it was not easy for me to walk up to Charles and introduce myself. Later, this seemed absurd because—as many had told me—he is one of the nicest guys you’ll ever meet. I mistook his graceful, reserved manner for something unapproachable. Charles is a man of few words. I finally plucked up the nerve to asked for an interview, and he asked if I had a car, said I could drive him to a function that evening and we could talk then. That was easy. I settled into my chair to knit and take notes on the rest of the sessions. Then a little later, during a lull in one of the longer sessions, he came to me in the and whispered, “Let’s talk now,” and headed for the doors, carrying his granddaughter in his arms. I quickly closed my notebook, stashed the knitting and rolled my carry-on camera bag down the aisle to catch him. We sat in a quiet room across the lobby and in his very deliberate, peaceful way, he talked about coming to Albany back in 1961armed with only the names of two local people. He was totally at the mercy of black families around Doughtery County whose homes became “Freedom Houses”. He never wanted for meals or a place to sleep. In fact, most times there was a contest to see who would feed and house him for the night. Charles Sherrod came to Albany to lead, to teach, to help black folk find a voice. When I asked what a typical day in the Movement would’ve been like for an 18-year old he said, “We told them that they would face danger everyday; some kind of violence everyday, in the guerilla type lifestyle they had chosen.” It was made clear to recruits that if you weren’t prepared for such a life, then working in the Movement was not for you. I feel the legs of a good story growing here. It needs a little proof reading and your right there. I always try to remind myself to take a deep breath and trust that life will lead me to the people I need to talk with. Sometimes it’s hard to take that step.